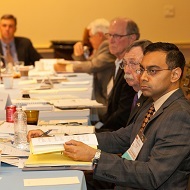 As part of the Council on Medical Education's work to study and make recommendations on issues related to resient specialty match trends, workforce trends, and federal and state legislation impacting medical educaiton and workforce issues, the council compiles information, creates summary reports, and conducts analysis. See the annual results of matches by type of residency program, along with positions offered/filled by city, county and sponsoring institution. Expanding Graduate Medical Education at Texas Hospitals: Why and How? Summary Reports for Match Day Results for Texas Medical Graduates.